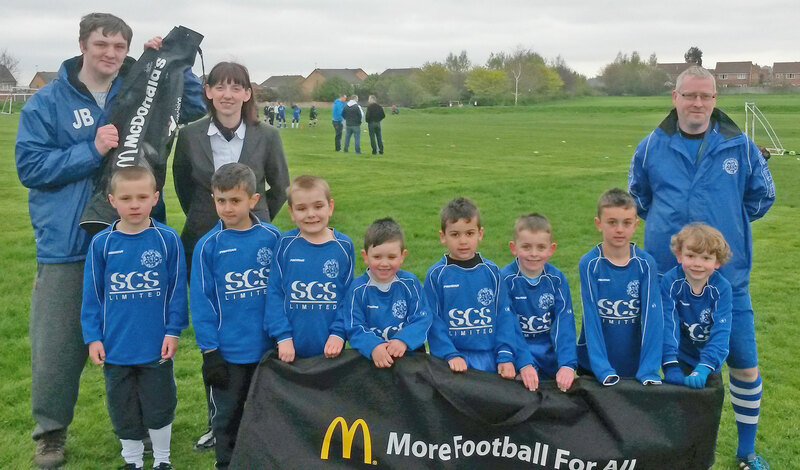 Local football club Glen Juniors AFC has been given a helping hand by the McDonald’s restaurant in Morley, which has donated brand new football equipment to the new under six’s nursery team. The staff at the restaurant, which is situated in ASDA on Cooperative Road, have also offered to support the club including help with pitch preparation and upkeep as part of the McDonald’s Community Football Programme. McDonald’s has been Community Partner with The FA for 13 years and has renewed a four-year programme focusing on supporting accredited grassroots clubs. Their volunteers help raise the standards of football across England and improve the experience for young aspiring footballers. Founded in 1974, Glen Juniors AFC offers football to teams from under six’s through to under 16’s. The teams compete in a number of leagues including the Garforth Junior League and has an emphasis of making football fun and enjoyable for all involved. The club are currently looking for new team members of all ages both boys and girls as well as coaches. For more information please visit www.glenjuniors.co.uk/.